Jump to Listings of retirement communities for military. Military retirement communities are communities that are in areas where military hospitals, VA hospitals and military bases are or cater to military. There are also benefits for the retired military for when they need nursing homes, home care or assisted living. See our article for more about veterans assisted living information. A great idea: This organization in Florida trains dogs for injured vets. Our sponsor Indian River Colony Club recently donated--you can help too. Read the article about Paws for Veterans. Big News in Florida: There will be a new VA nursing home located in the Traditions community in Port St. Lucie, Florida, servicing the entire region. Realtors now certified to be a "Military Relocation Professional" to help military active or retired in the home buying and selling process. 6800 already certified in the U.S. Read the NAR military article here. Also, there is a new VA Cemetery in California on the old Fort Ord base and called Central Coast Veterans Cemetery in Monterey County. Accepting applications now. What popular amenity would you maybe find at a military retirement community that you may not find elsewhere. 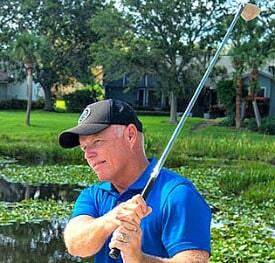 Read the article about a resident at Indian River Colony Club and his favorite club there. Congratulations to New York State on their Grand Opening of Help Buffalo II, a low income apartment building with 14 units for homeless vets. It is located at 366 Broadway, close to downtown Buffalo, NY. Congratulations to Rhode Island on their new state of the art 204-unit Veterans Home in Bristol. Features new community-living concept. Many local trades contributed. Grand opening just happening. So proud of Meta Housing Corp., a large apartment development company of premier apartments, for focusing on the homeless problem in Los Angeles. Homelessness has increased partly due to the higher rents in the area and many of the homeless are vets. They are making available 40 new units in their new apartments in Palmdale. See story. We found this excellent set of data for military retirees for statistics and information and wanted to share it with you. Note: Some military retirement communities are now expanding their qualified residents to include government civil service employees and other public service employees. Check the military community website for their eligibility requirements. Veterans Statistics: The U.S. Census Bureau has come out with Infographics on veterans providing statistics. For instance, they note the top cities veterans live (not necessarily retired) are: Kileen, TX 28.9%; Clarksville, TN 24%; Jacksonville, NC 22.6%; Fayetteville, NC 22.1%; Hampton, VA 20.9%. There are also 2 million veterans in California and 1.6 million in Florida and Texas 1.6 million. Here is an article on VA home loans in retirement. Started in 2002, this program has expanded to 44 states offering military, active or retired, as well as fire, police, etc., a large savings back when buying, selling, renting or refinancing a home through their affiliates. When you register for the program, you are referred to affiliates. See complete details on their Homes for Heroes website. San Antonio - Gated CCRC has entrance fee. Cottages and apartments, services and amenities including transportation. Open to all branches of career military. See website for more details. Wait list. Also assisted living available and care. DuPont - Puget Sound area and adjacent to bases and Fort Lewis golfcourse - their website says this is the only retirement community dedicated to military in the Pacific Northwest. Apartments, cottages and assisted living and memory care apartments. Luxury amenities. No buy-in requirement. To quote a sentence on the Patriot's Landing website: "Independence is not determined by home ownership or living alone; it is determined by your freedom to make choices each and every day." 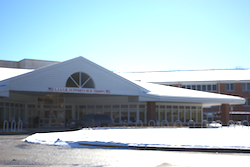 Fort Belvoir - By Sunrise Senior Living - resort-like independent and assisted living. Life care community 20 minutes to DC. Apartments and cottages. To qualify for life care at The Fairfax, see requirements. Apartment homes and cottages. Potomac Falls - Northern Virginia - Also continuing care community for retired military officers. Luxury amenities - Gated apartments, single manor homes and duplex patio homes. Community Outreach Program. Expanding their facilities to include Wellness Center, bistro and business center. Now open to senior level federal employees, spouses and surviving spouses at GS-14 and above. Williamsburg - For former officers of military and retired civic government - Active adult living and Lifecare community - Villas, apartments, and homes. Assisted living is open to public. Enclosed walkway to Cannon Community Center. Distinguished Williamsburg ambience. located in Washington, DC, in 1962 became the first military retirement community in the U.S. It also lists assisted living and continuing care, memory programs and nursing among its services. "Residency..Is not limited by one’s financial resources." Restricted to military officers and their families. Gulfport - 2nd campus (the other in Wash., DC). Independent and assisted living with no expensive entry fees and reasonable monthly fees. There is a wait list so check your eligibility and sign up now. Amenities include outdoor swim pool, fitness center, library and more. 47 acres on the Mississippi Sound. 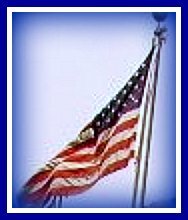 Viera - is rich in the traditions of the United States Armed Forces. Membership is mostly former commissioned officers and warrant officers of the seven uniformed services. IRCC offers a generous maintenance program inside and outside. A country club lifestyle is enjoyed while preserving the patriotic ideals that gave birth to our great nation. Single family home ownership, located close to VA Hospital and Patrick AFB - very affordable prices in sunny Florida. Amenities include gated on 453 acres with 18-hole private golf, heated pool with lap lanes, tennis, Fitness Center, RV parking and more. Read our blog article about Viera. Some military retirement communities are well-located for military and have higher military populations. Some of these are near bases and military hospitals and clinics and popular for their convenience. Altavita (formerly Air Force Village West) No longer requires a history of military service. 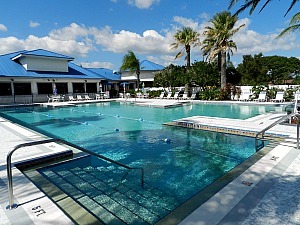 CCRC - Age requirement is 60+ - Riverside - Adjacent March Field - Retirement resort community. Community Care Community: They have an on-site health center which includes skilled nursing and a special care unit. Entry and monthly fee. Apartments, duplexes and single-family homes. It looks so comfortable and offers many services and amenities including unique ones like RV storage, golf cart access and more. 221-acre campus. You can visit in their guest house. This area's climate can't be beat. Update: The former Air Force Village West is now called Altavita and eligibility requirements have changed. Paradise Valley Estates - Fairfield - No longer require a military background - Minutes to Travis AFB. CCRC - Great Northern California location - 40 minutes to San Francisco or Sacramento. Houses or apartments. Long Island also has a Vet Hospital, Veterans Cemetery and a Veterans Retirement home. Indian River Colony Club - Viera, listed above, for military is open to 20% public. Country club amenities including, clubhouse, pool and 18-hole golf. Fishhawk Ranch - Near Tampa at Lithia - reaching out to military families and seniors - 30 miles to MacDill AFB with a commuter transportation service to the base. Master community by Newland. England Oaks - Central Lousiana at Alexandria - One of two communities by Front Porch that once were military bases. (The other in Florida.) Conveniently located near Oak Wing Golf Club. 2 and 3-bedroom small square footage single-story duplex homes. 2-bedrooms start at $925/mo (verify as rents can change). Mature trees. On-call lifeline units. Low maintenance with month-to-month rents. One-third of residents of San Antonio are military (please verify all information.) Also Military and VA hospitals/clinics nearby. The Texas Hill Country is also very popular with the military. Blue Skies of Texas East and West (Formerly Air Force Villages I and II) Life Care community. Two locations: one overlooks San Antonio and the other in the Texas Hill Country. Both communities offer a wide selection of home types from high-rise to garden to ranches. See website for details. All the services and amenities you could want in gated communities. I like that they are creating a town square feeling. Visit program includes a try-out program. Contact them for new qualifications which includes non-military. Near Lackland Air Force Base. Meadow Walk in Fayetteville - near Fort Bragg, Pope Air Force Base. Near Cape Fear Valley Medical Center. Many floor plans and custom options. Beautiful single homes feature nighttime security and maintenance staff. Carolina Highlands in Fayetteville - Condominium living - Many social activities, trips and some care options. Purchase or lease. Communities in Washington State open to public but near bases: There are 7 bases in Washington State. Shea Homes at Jubilee - Lacey - Puget Sound living - Villas, cottages and estates. Resort amenities include championship golf. From $308,900. Golden Rose - mobile home park in Puyullap area. Communities in Colorado open to public but popular with military: There are 6 bases in Colorado. Fairway Villas Denver - New 55+ ranch homes by Oakwood Homes at Green Valley Ranch Golf Club. Near Denver Airport. From low $300's. Cumberland Green - Fountain - Near Fort Carson and Peterson Air Force bases minutes away - this is not for over 55 - from mid-$200's by Oakwood Homes. Heritage Todd Creek Thornton - New ranch and villa homes by Lennar for active adults from high $300's. 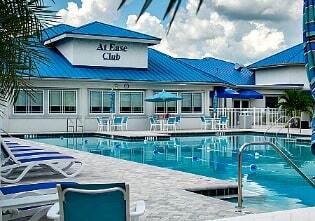 - amenities include golf, clubhouse, salt water pools. Heather Gardens - Aurora - Resale ranch homes - Amenities include 9-hole golf and many social clubs. Active adult community. Alabama; Alaska; Florida; Hawaii; Illinois; Kansas; Kentucky; Louisiana; Massachusetts; Michigan; Mississippi (see conditions); Nevada; New Jersey; New York; North Carolina (see conditions); Oregon (see rules); Pennsylvania; South Dakota; Tennessee has no earned income tax; Texas; Washington; Wyoming. The veterans home on Long Island, NY is associated with Stony Brook University. The National Association of State Veterans Homes has a directory for locating these facilities. Each facility differs in their rules, regulations and requirements. Florida Dept of Veterans Affairs has a free mobile app for veterans. Apply through Iphone and Android markets. Services may include hospice and palliative care. My husband spent time in a VA Nursing home. Everyone from the heads of departments to the lowest cleaner treated him with the utmost respect and cared for him with unconditional love. I'm talking about the people who cared for him. They were organized, efficient and most of all caring. There was a different attitude than at other nursing homes he had been in. It was as if he was one of their own family members. It is hard to explain but I can see this is why we should support military facilities and communities. I can't vouch for all facilities of course, but it is worth checking out. Also, check out Cal Vet transitional housing in California. The VA has guidance and assistance for those who want to aid a vet in obtaining housing. If you control any type of housing and want to help, reach out to the VA for their direction and toolkits. We've noticed many builders have offers for our military. Please check at individual communities that may not have the information on their website. Please verify all information as it can change and check the websites for further information especially as regards qualification and communities. Also read the article on assisted living and VA benefits for veterans. Newmans Own Foundation is giving grants totaling 7 million over the next 3 years to military men, women and families. See your VA for more info. Veterans make up 12% of the workforce of the U.S. Forest Service. Volunteer opportunity: Looking for the perfect charity to volunteer: Did you know you can donate not only money but your services, trades person skills and time to building Homes for Heroes. Other ways to help: host events and donate land.